This is Chiao+Rick. They are two professionals top in their fields, living a crazy busy life in New York. They decided to leave the hustle and bustle of the big city for the very quite and tropical island of Kauai. They were able to unplug and relax and wanted their engagement photos to reflect that... just the two of them, surrounded by the beautiful serene mountains and ocean in Hanalei. 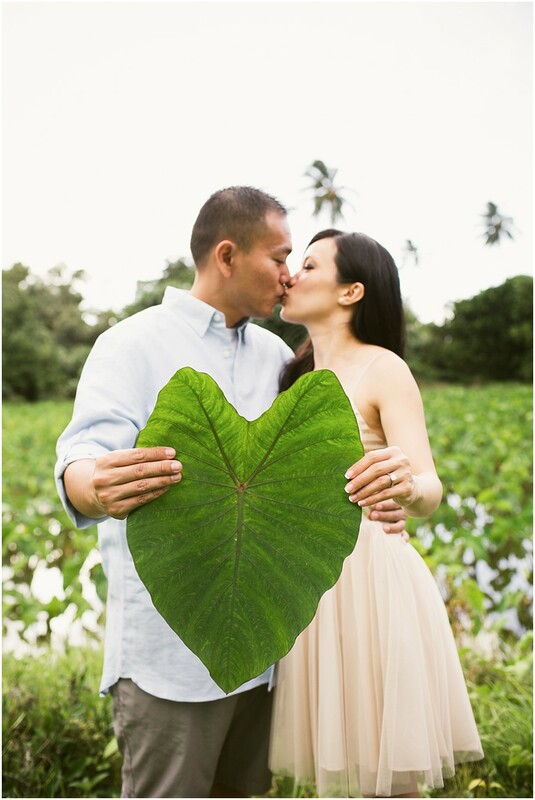 I had the pleasure of shooting their engagement photos on the north side of the lush island and then their wedding on the dry south side of Poipu. In the spirit of not breaking my spontaneous resolution, I will blog their wedding... ummm... soon!